Because Greyfriars Hall is a ministry of Christ Church our Statement of Faith will be the same as that of Christ Church. For a fuller expression of our faith in the Lord Jesus Christ, please see our Web site (christkirk.com). This statement of faith represents the doctrinal understanding of the eldership of Christ Church and the instructors at Greyfriars Hall. It is our intention that the teaching of Greyfriars Hall reflect this understanding as well. As reformational evangelicals, Greyfriars Hall seeks to display our unity in truth with other faithful believers, not only in the present, but also with the historic Christian church throughout the centuries. Although not included here, we are in essential agreement with the historic confessions of the Reformation, including the Synod of Dordt, the Belgic Confession, the Heidelberg Catechism (together known as the Three Forms of Unity), the Westminster Confession of Faith of 1646, and the London Baptist Confession of 1689. The Triune God is the one uncreated Creator of all things that exist; between the Creator and His creation is a fundamental divide. This one God is eternally existent in three Persons: Father, Son, and Holy Spirit. His Majesty is omnipotent, omnipresent, and omniscient, and limited by nothing other than His own nature and character. He is holy, righteous, good, stern, loving, and full of mercy. The sixty-six books of the Old and New Testaments are the Word of God, inerrant in all they affirm. The Word has divine authority in everything it addresses, and it addresses everything. In no way should the Scriptures be brought to the judgment seat of human reason; rather, we must rationally and submissively study the Word granted to us. In the beginning, God created the material universe from nothing. He spoke, and by the Word of His power, it was. Our science on the nature and time of this event must be determined in full submission to the Word of God. Our first father Adam was our federal head and representative. He was created innocent, but through his rebellion against the express Word of God, plunged himself and his entire posterity, represented in him, into the hopelessness of death in sin. This sin is lawlessness—an attempt to live apart from the Law and Word of God. Since that first great apostasy, no descendant of Adam has escaped from the death of lawlessness apart from efficacious grace. The Lord Jesus Christ is, according to the flesh, a descendant of David, and sits on David’s throne. He is, at the same time, God enfleshed. He is one individual with two natures—fully man and fully God. As a man, He is our elder brother and High Priest before God, representing us to God the Father. As God, He is the visible image of the invisible Father, representing God to us. Because all sons of Adam are spiritually dead, they are consequently incapable of saving themselves. But out of His sovereign mercy, God the Father elected a countless number to eternal salvation, leaving the remainder to their sinful desires. When the time was right, the Lord Jesus Christ died on the cross and was raised to life as an efficacious redemption for the elect. Thus He secured the salvation of His church, for which He laid down His life. And at the point of each individual’s conversion, the Holy Spirit brings resurrecting grace, effectually calling him by His power, with the result of repentance and faith. The grace of God in the gospel does not set aside the law of God; rather, it establishes it. To the one who believes, the law of God is precious, and through faith the law is established. The law stands as God’s testimony of His own righteous character; as such, it cannot be altered by anything other than God’s express Word. Consequently, we receive the entire Bible, Old and New Testaments, as fully containing the will of God for us. To all who do not believe, the law of God condemns them in self- righteousness. When God is pleased to bless the proclamation of His gospel, the result will always be a visible collection of saints bound in covenant to Him. They will be characterized through their assembly around the preached Word, their faithful administration of baptism and the Lord’s Supper, and their orderly and disciplined government according to the Word of God. As believers present the gospel to those who remain in rebellious unbelief, there must be no halfway compromise with that unbelief. 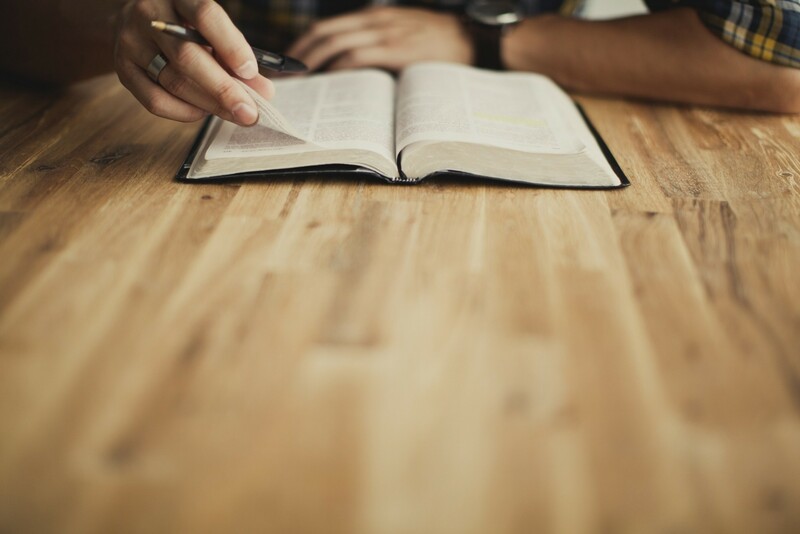 The ground and precondition for all creaturely ventures is the Word of God, which necessarily includes our teaching, apologetics, and evangelism. Every thought is to be made captive to the Lord Christ, and every tongue is to glorify the Father. As the gospel of Christ is proclaimed throughout the world, the result will be the gradual transformation and salvation of the world. Prior to Christ’s return, the earth will be as full of the knowledge of the Lord as the waters cover the sea, and the whole earth will be full of His glory.